Wildlife ‘App’ – Northern Rivers Wildlife Carers Inc.
Have you ever felt helpless not knowing what to do after coming across injured or orphaned native wildlife? All too often help comes too late, with numerous calls made to the wrong organisation, wasting many people’s time and endangering animals’ lives. Wildlife Rescue App, a free mobile phone application – the first of its kind in Australia – aims to empower people by putting them in direct contact with the nearest rescue organisation in NSW, at the touch of a button. Downloading and using this simple, yet effective App is an easy and direct way to help our native wildlife. This handy and easy to use app will put members of the public in touch with experienced and licensed carers who will be able to assist with the rescue of the injured animal. The NSW Wildlife Council and its member organisations urge everyone to download this life saving tool today. Under the Prevention of Cruelty to Animals Act, if a motorist hits an animal they are obliged to stop, render assistance or call someone who can help. The International Fund for Animal Welfare (IFAW) and the NSW Wildlife Council partnered to develop this App. 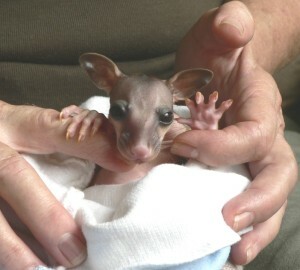 The timely launch of the Wildlife Rescue App means there’s now a better chance of saving injured or orphaned wildlife, especially in the days and weeks after a bushfire when animals are displaced and seeking food and shelter. The Wildlife Rescue App is FREE and available on the Apple Store and the Android Market, or by going directly to the IFAW Wildlife Rescue App website from your phone. The Wildlife Rescue App has the support of, the NRMA , The New South Wales Roads and Maritime Services Department and National Parks Association.